Anyone with some basic education will have at least an idea about how being physically active is important in their lives. When you’re active, you’re basically healthier. More often than not, when approached right, a physical activity routine can improve your fitness levels a great deal. Research actually suggests that an improved body form from exercising can do wonders in increasing your self-esteem and motivation. Multiple studies have also linked physical activity to anxiety relief, stress relief, and a generally improved mental wellbeing. Jogging, exercising, walking, and weight-lifting, swimming, sports, cardio workouts and other types of physical activity are all beneficial. Even simple household or outdoor yard activities such as gardening and home improvement DIY projects can go a long way. The point is, leading an active lifestyle means keeping your body’s muscles and joints engaged whenever you can in the best or most convenient way possible. However, this always comes with some challenges, and more often than not, there’s always a price to pay. If you need to improve your fitness levels through activity, for instance, you need to create time to hit the gym at least 3 times a week, several hours each session. Sometimes you may have to build a home gym or buy certain home gym equipment. Likewise, you will need to learn a lot about flowers, vegetables, and whatever else you may be growing if you choose something like green yard gardening. In some circumstances, your active lifestyle may include diet restrictions and stricter time schedules. Extreme seasons such as winter and summer could require you to suspend your activities or substitute them with others that are adaptive to the current weather conditions. In winter, for instance, some people have to switch to skiing and other winter sports or go swimming during summer. And most importantly, there’s always a risk of having to deal with pain and injury from your active lifestyle. 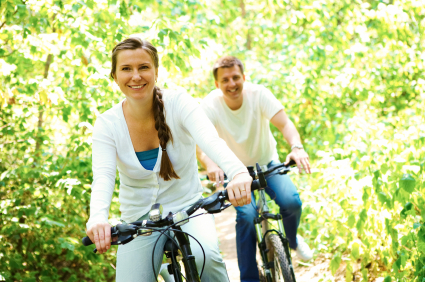 Here are some tips on how to enjoy an active lifestyle without pain, boredom, and injury. Yes, you really feel that you need to fix your plumbing before your wife comes back from a weekend at her mom’s. Or maybe it’s just a few weeks since the heavy rains or winter ended and your lawn hasn’t been mowed. Being an active DIY kind of person, you may be tempted to fix everything at once or consecutively. Give yourself a break, you’re not a robot. Straining too much to accomplish things by your own can have deleterious effects on your health and wellness, as well as your productivity. Consider requesting a family member or relative for help if you can’t or don’t want to hire the respective service. And when it comes to exercising, you can’t become Mr. America or Mr. World with only a few weeks or months at the gym. Work using the right pace. Lack of maintaining proper posture is one of the most common reasons most people suffer from work and activity-related neck pains, back pains. This happens when sitting in front of the computer, lifting heavy objects, and standing, sleeping, and even walking. Understanding the importance of posture can help you stay safer and away from pains when undertaking your regular day-to-day activities. The fact that lifting heavy objects can cause lower back pain doesn’t mean that you shouldn’t. Simply bending you’re back right and lifting with force from your hands and legs instead the back can spare you from a lot of pain. If you work sitting down, make sure that your office set up is all ergonomic, including the desk, chair, and surrounding furniture. It is also recommended to avoid maintaining the same posture or working position for a very long period of time. Take breaks after every hour or so when doing manual and digital work, stretch and go back to it. You feel even more energized than before. Keeping the right posture is really important, it’s not everyday that you can visit a Chiro centre, where you can get your posture in check. Whether its exercise or manual work, activity is activity, especially if it makes you sweat. However, it is highly important to use the right tools always. 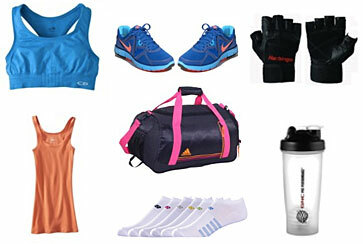 Tools and equipment can be a major source of pain when leading an active lifestyle. Use tools and equipment that won’t leave blisters on your palms or scratches on your skin. If there’s such a risk, be keen or wearing protective clothing. Select tools and equipment with comfortable padding and well-gripped handles that won’t injure you. Especially for the newbies, you will easily find someone jumping into the main exercise before warming up their muscles, joints, organs, and vessels. Warm up and cool-down sessions are important in any workout or sporting activity. Warming up helps improve the flexibility of joints and muscles, boosting the energy synthesis pathways as well. Whether you’re working out in the gym or exercising outdoors, warm up is always recommended. It involves starting with the lighter version of what you’ll be subjecting your body to during the main session. This is basically lower intensity workout at a slower pace. Sit-ups, push-ups, jumps, and sprints are some of the most common warm-up moves in general. For weightlifters, warm-up may involve starting with a couple of reps lifting lighter weights. When done with a particular exercise session also, it’s important to cool your body down with lighter workout moves. Both of these are also important as far as recovery from training is concerned. It helps approach the gym as fresh as or better than the last time you did, without muscular pains and sprains. Exercising is a huge topic, which the scope of this article couldn’t allow covered. One thing is for sure though. Using the wrong techniques and methods, working out can cause pains and injuries. For instance, squats (thing and leg workouts) can easily cause back pain and spinal injury when done wrong for a certain period of time. Lifting a heavy object the wrong way can disrupt your spinal cords integrity within the flash of a second, rendering you disabled even. To avoid such risks and enjoy an active lifestyle without pain, hiring a gym instructor can be a wonderful idea. I hope you enjoyed these tips and will utilize them to workout pain free. A pain free workout is not only going to make you feel better physically, your mental strength will be improved too and you’ll be ready to hit the gym harder the next time. Keep in mind that these tips just touch the tip of the iceberg, there are numerous guidebooks, video tutorials, and how-to articles when it comes to exercise and outdoor activity, free and paid. The high-quality ones will highly likely cost you, but why not invest in something that will give you immeasurable value? Happy exercising!